Sometimes all you need is a new piece of kitchen equipment to reinvigorate a love for cooking. Well, at least that’s what happened to me! Last year I received a Dutch Oven for Christmas and ever since, I’ve been thoroughly enjoying cooking again. In case you don’t know what a dutch oven is, it’s basically a very sturdy pot that’s usually made of cast iron or ceramic (the typical ones we see today are enamel-coated cast iron) and has a very tight fitting lid. It’s the lid and heavy duty material of the pot that make it special, because it can go from stovetop to oven, creating the most delicious meals you’ve ever tasted. 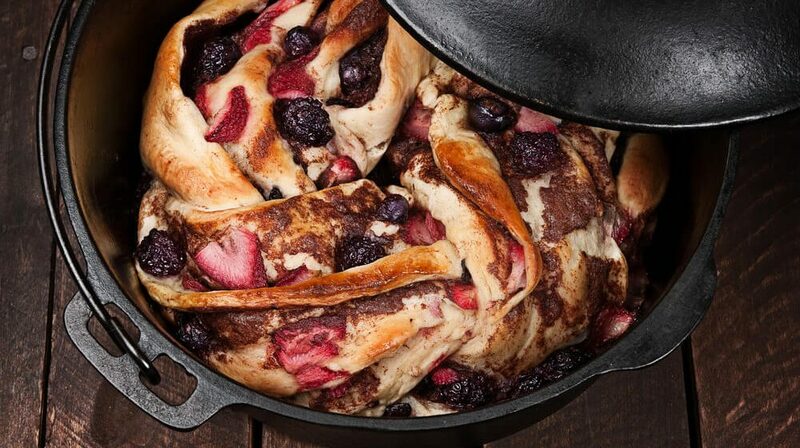 Not only can you make dinner meals, you can also use your dutch oven to create fabulous desserts! So grab your taste buds and get ready to see some amazing after dinner treats! Many dutch oven desserts are famous for campfire cooking, but don’t be afraid to whip these up in the comfort of your own (indoor) kitchen. This first recipe couldn’t be any easier and only called for 3 ingredients! You’ll need a cake mix, can of lemon-lime soda and pie filling and then you’ll literally just dump it into your dutch oven. You can cook over charcoal or in your oven. Either way it’s going to taste delicious. Visit JillCataldo.com for this easy recipe, as well as other tips on food, beauty and makeup. Holy moly, this cobbler looks delicious and I might be drooling a little bit. It uses cherry, raspberry and blueberry pie filling, boxed cake mix and 3 STICKS OF BUTTER. That’s how you know it’s amazing, my friends. This specific recipe was made over the campfire, but you can still easily make this in your dutch oven at home with a little practice by just peeking in your covered pot every so often. 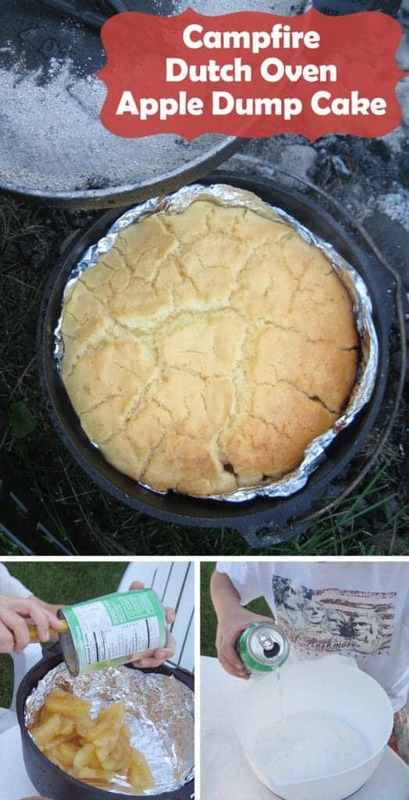 Visit CookesFrontier.com for this recipe and other great outdoor cooking ideas. 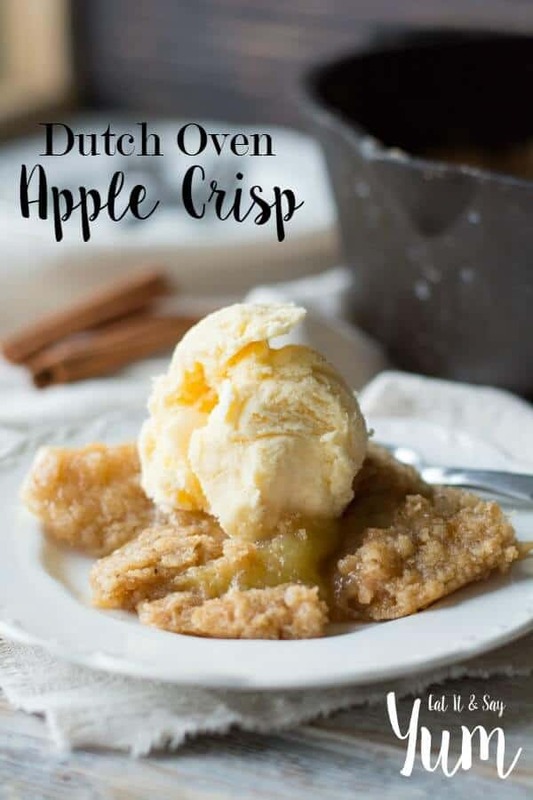 Umm, I don’t care that it’s not Fall right now, I want to eat some apple crisp after seeing this recipe! No one will be able to deny this sweet and crunchy apple crisp, especially if you top if all off with some vanilla bean ice cream. Get over to EatItAndSayYum.com for this recipe and other amazing meal ideas. 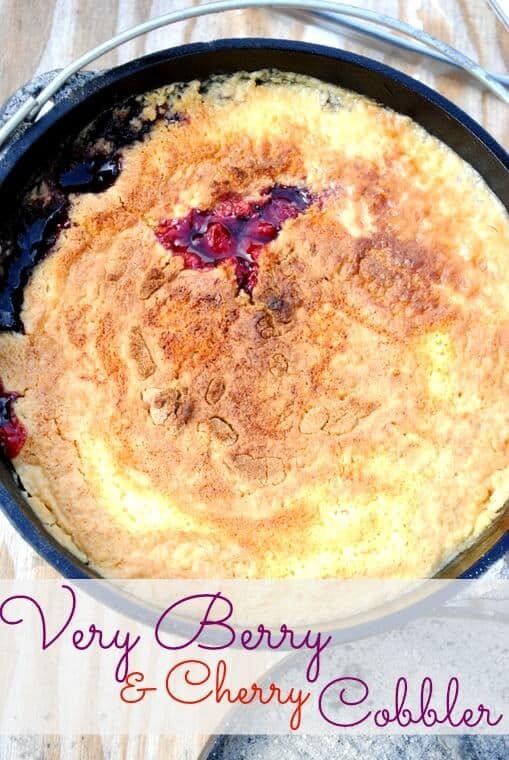 The post 10 Delicious Dutch Oven Desserts appeared first on Life As Mama.